Anxiety disorders are severe medical illnesses that fill people's lives with overwhelming anxiety and fear. It is a characteristic of many behavior disorders. It is usually concealed by the defensive behaviors. Generalized anxiety disorder (GAD) is much more than the common anxiety which people feel in day-to-day life. Patients with generalized anxiety disorder experience worry or nervousness and a number of physical and psychological symptoms. 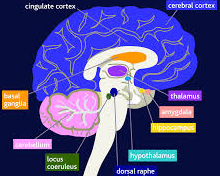 The disorder is normally difficult to diagnose because of the variety of presentations and the common occurrence of comorbid medical or psychiatric conditions. It's chronic and makes life tough even though there is little or nothing to provoke it. Having this disorder means always expecting disaster, often worrying excessively about health, money, family, or work. Sometimes, though, the source of the worry is hard to identify. Simply the thought of getting through the day, provokes anxiety. People with normal anxiety have irregular worry about circumstantial events, such as an exam or break-up that may leave you upset. 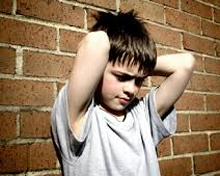 They feel embarrassment or self-consciousness in the face of uncomfortable social situations. In normal anxiety, random case of "nerves" or jitters, dizziness and/or sweating over an important event like an exam or oral presentation. This happens when people are trapped in realistic fear of a threatening object, place or situation and wanting to be sure that they're healthy and living in a safe, hazard-free environment. It can occur any time in the life span of an individual. This is mild and superficial and need only a reason to eradicate the threatening situation by means of defense mechanism. People with normal anxiety come out from circumstances through their own logical analysis and no treatment is needed. The scene is quite different in case of generalized anxiety disorder. Individuals with GAD seem incapable to relax, and they may frighten more easily than other people. Often, they have trouble falling or staying asleep. GAD doesn't characteristically avoid certain situations as a result of their disorder. When impairment associated with GAD is mild, people with the disorder may be able to function in social settings or on the job. If severe, however, GAD can be very debilitating, making it difficult to carry out even the most ordinary daily activities. The disorder comes on gradually and can begin across the life cycle, though the danger is highest between childhood and middle age. It can be distinguished from normal anxiety because in GAD, there is avoidance of common social situations for fear of being judged, embarrassed or humiliated and repeated, random panic attacks or persistent worry/anticipation of another panic attack and feelings. They perform unmanageable, repetitive actions, such as washing their hands repeatedly or checking things over and over whereas in normal anxiety, people suffer sadness or difficulty sleeping immediately following a traumatic event. Treatment techniques for patient of GAD are psychotherapies and social attention which plays a significant role and rewards the patient for making efforts to get rid of disorders.